The Agriculture Committee heard a bill Feb. 14 that would repeal the Black-Tailed Prairie Dog Management Act. The act, passed by the Legislature in 2012, authorizes county boards to adopt and carry out coordinated management programs to control black-tailed prairie dog colonies. It also authorizes counties to work with the Animal and Plant Health Inspection Service of the U.S. Department of Agriculture, the state Game and Parks Commission and the U.S. Fish and Wildlife Service to control the animals. 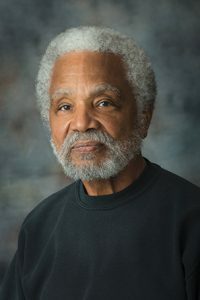 Omaha Sen. Ernie Chambers, sponsor of LB449, said the act violates property owners’ rights by allowing the government to come onto their land without a warrant or due process if a neighbor complains about prairie dogs on the property. The law is not needed to control prairie dogs, he said, and it is being used in only a single county: Sheridan. “The language of that law is so abhorrent that if we struck it then we’re not hindering or interfering with anything because it’s not being used anyway,” he said. 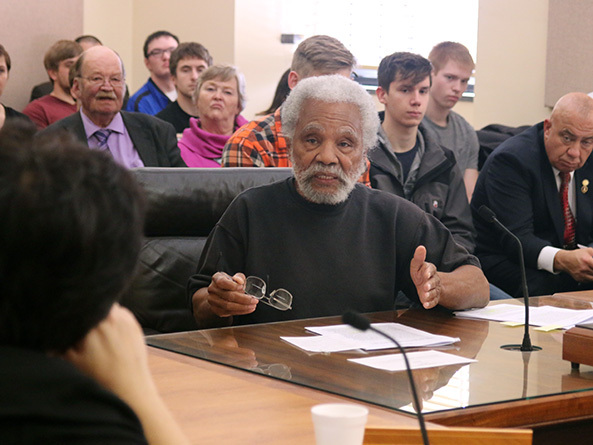 Jarel Vinduska, speaking on behalf of the Nebraska Wildlife Federation, testified in support of the bill. He said state and federal laws require the protection of threatened and endangered species, such as the black-footed ferret and burrowing owls, that depend on prairie dog towns for their survival. “Why should we have the embarrassing situation in Nebraska where we have a law … that conflicts with our own law to protect native species?” Vinduska said. John Hansen, president of the Nebraska Farmers Union, also testified in support of the bill, saying that the act infringes on landowners’ right to determine how to address prairie dogs on their own property. Additionally, the act was modeled on a similar law meant to eradicate noxious weeds, he said, an approach that is inappropriate for controlling an indigenous animal species. Jack Andersen, speaking on behalf of the Sheridan County Board of Commissioners, testified in opposition to the bill. He said the act allowed the county to coordinate efforts to address a prairie dog town spread across more than 700 acres owned by several landowners. Andersen acknowledged that the act could be modified to strengthen landowners’ due process rights, but he said repealing it would be a step backwards for the county.